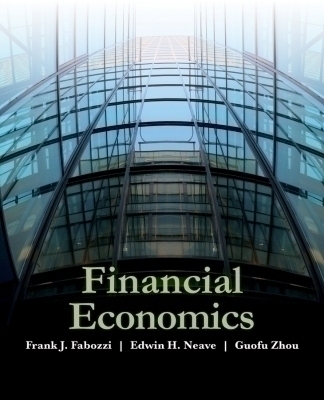 Financial Economics, by Frank Fabozzi, Ted Neave, and Gaofu Zhou, presents an introduction to basic financial ideas through a strong grounding in microeconomic theory. This calculus based text explores the theoretical framework for analyzing the decisions by individuals and managers of firms, an area which is coming to both financial economics and microeconomics. It also explores the interplay of these decisions on the prices of financial assets. The authors provide rigorous coverage aimed at assisting the undergraduate and masters-level students to better understand the principles and practical application of financial economic theory. In addition, the book serves as a supplemental reference for doctoral students in economics and finance, as well as for practitioners who are interested in knowing more about the theory and intuition behind many coming practices in finance. In short, the book focuses on economic principles and on putting these principles to work in the various fields of finance - financial management, investment management, risk management, and asset and derivatives pricing.